Are you interested in crime scene investigations? Is it time to advance your career? Missouri Western offers two programs in Forensic Investigations so you can earn either a certificate or master’s degree while continuing to work full time. Today, more than ever before, physical evidence plays a large role in criminal investigations. Missouri Western’s programs offer the classroom and hands-on experiences you’ll need to enhance your career opportunities in the field of forensic investigations. 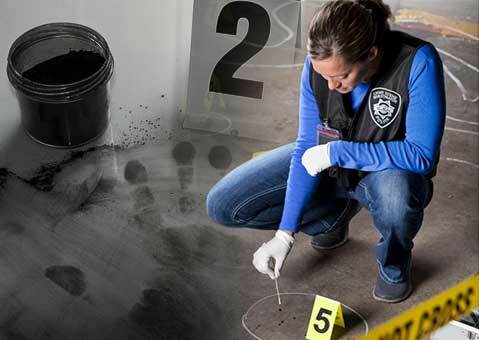 Courses are taught by eminent forensic scientists and other distinguished professionals, and students receive broad-based exposure to the discipline of forensic investigations, along with special courses to enhance their professional expertise. The courses are designed and staffed in conjunction with the Southern Institute of Forensic Science. Courses are offered in a combination of formats: online, face-to-face, semester long and one-week intensive. The Southern Institute of Forensic Science (SIFS) is a cooperative partner in the Forensic Investigation program. The Institute offers fully accredited undergraduate and post-graduate courses as well as specialized workshops and seminars. SIFS has longstanding academic relationships with several universities and colleges, promoting accrediting courses for both undergraduate and graduate level classes. These courses meet the highest standards of the hosting academic institution. These programs will be of interest to the technical staff of crime laboratories, medical examiners’ laboratories, law enforcement and faculty at various educational institutions. Career options include criminal investigation positions with federal, state and local law enforcement agencies.